I always love adding something fun and unique to my Memory Keeping! And or me, my love of scrapbooking is stronger than ever, yes I love Memory Planners, Notebooks and Mini Albums but I always come back to my first love of 12 x 12 traditional layouts. 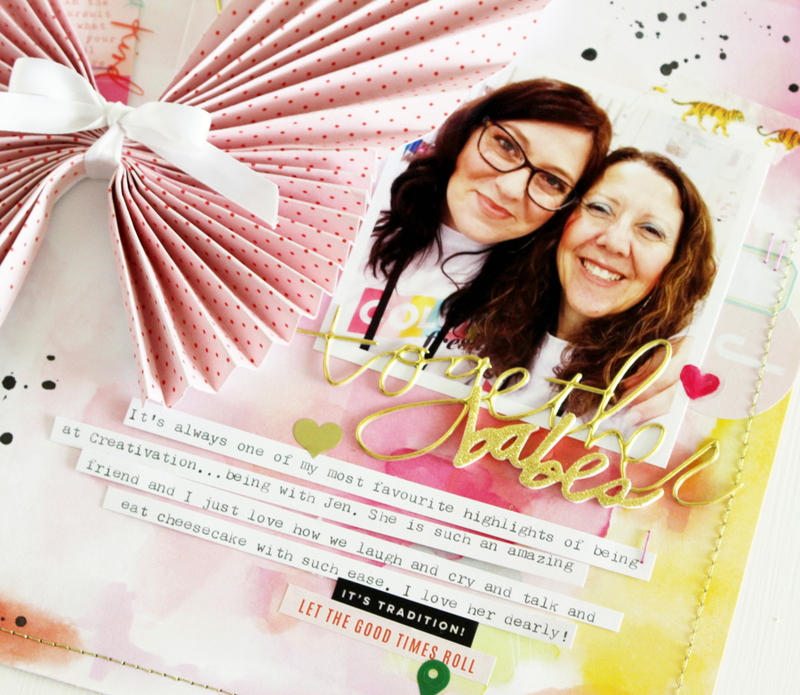 Adding a twist on a traditional layout is my way of keeping my scrapbooking fresh. Adding a twist with pattern paper , in particular the Color Fresh paper collection is the perfect way to embellish a layout. Follow along with me as I share how my layout comes together. Don’t you just love how that origami butterfly literally pops off the page. I creates such a statement piece on my layout. I love how all the colors and elements combine together to create a feminine yet fresh layout. 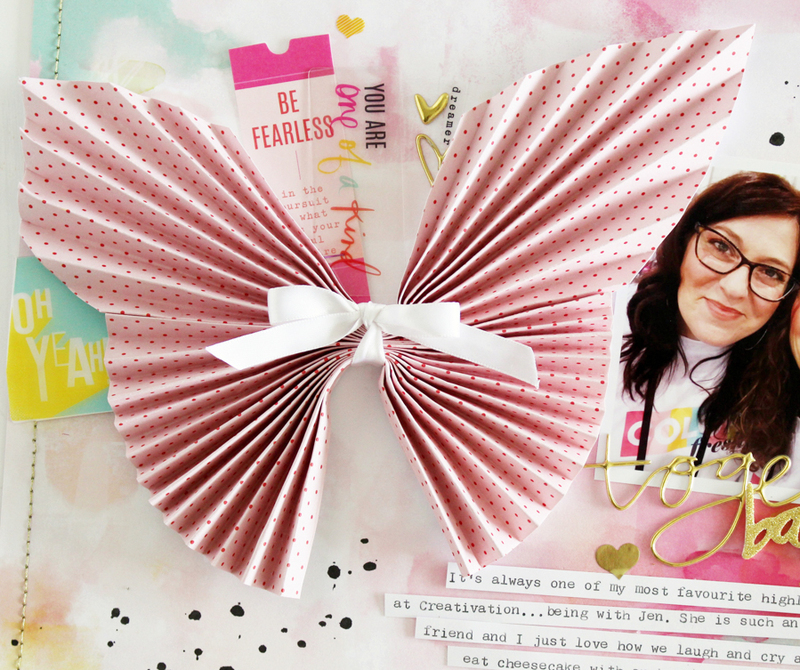 Watch my video to see how to make the origami butterfly and then how I added it to my layout. I just adore the texture that is created with the folded butterfly. Once my layout was complete I trimmed the overhanging butterfly wing to enable it to fit into a plastic sleeve. 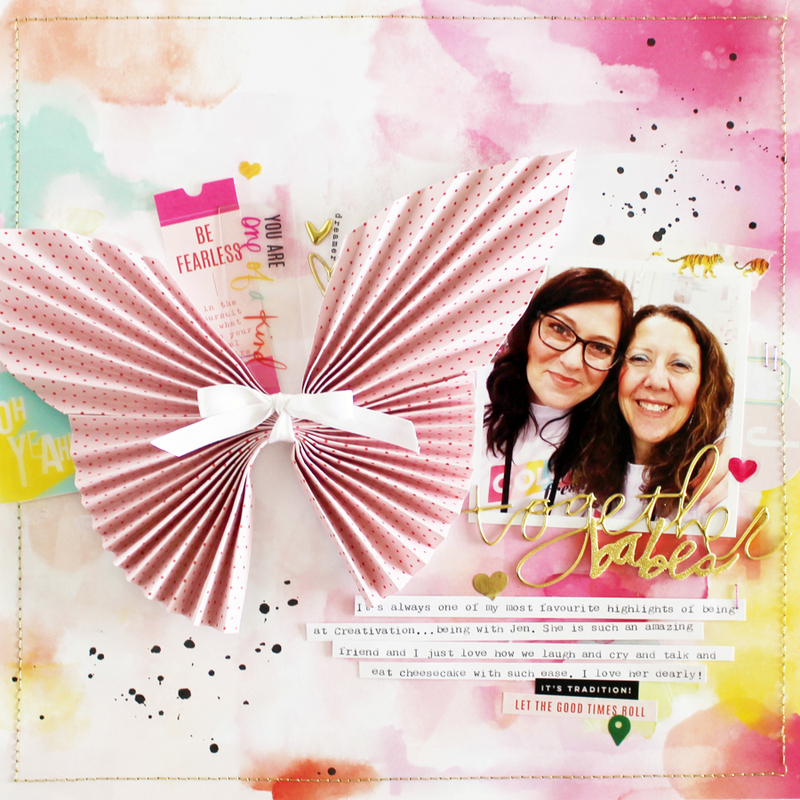 I added the paper and acrylic pieces from the Color Fresh Ephemera pack in and around the butterfly for some pops of color and cohesiveness. 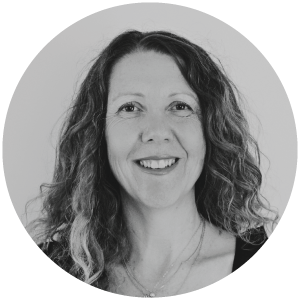 They are layered for further depth and dimension. Overlapping my title and subtitle onto the photo really brings the photo in to focus. I used some of the new Minc glitter sheets in gold to add some glitter to the Hawthorne Minc Words . It is such an easy way to add shimmer and shine without the mess. Adding my all important journaling is always a must before my layout is completed. I always type it on my typewriter and then trim the strips and adhere them to my layout. Mixing and matching a few of the stickers from the sticker booklet adds some more cohesiveness and completes my layout. 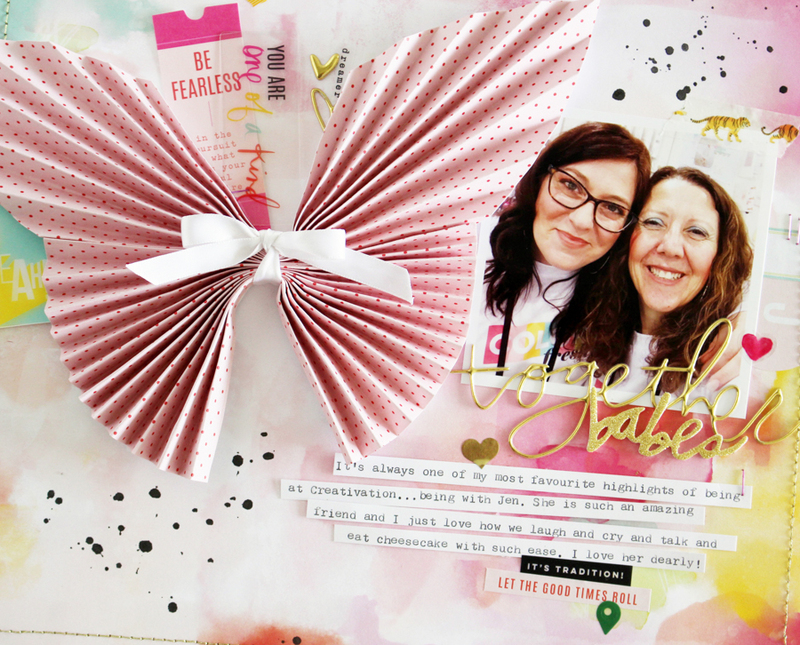 The eye can move around the layout and pause on the important aspects – the butterfly, photo and journaling! 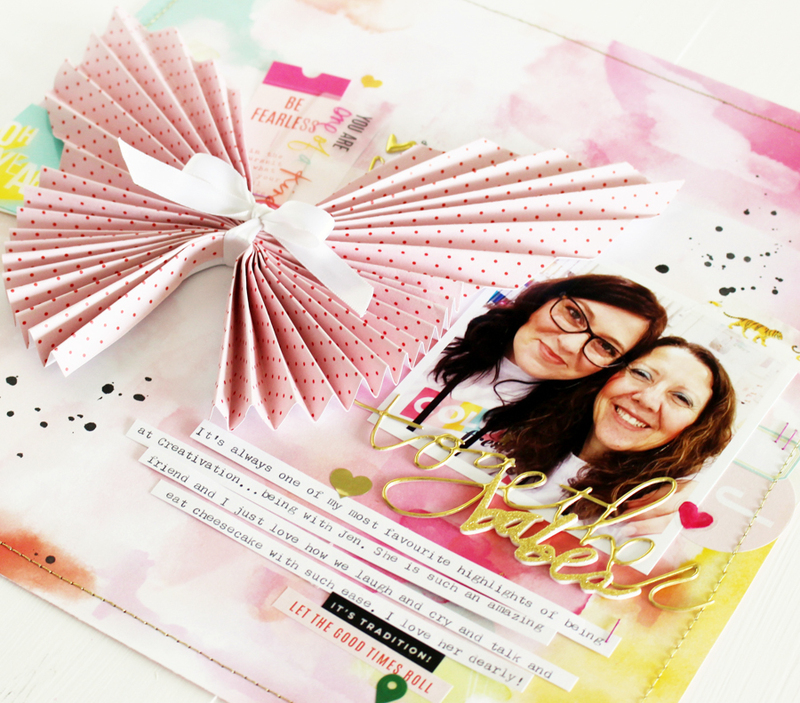 I hope I have inspired you to do a little paper folding on your next layout. It really is so easy and so fun and creates such an eye catching element to a page.